Thomas Land at Drayton Manor is better than ever! Drayton Manor in Staffordshire is one of our favourite places to visit in the holidays. My son is a huge fan of Thomas the Tank Engine so the fact that Europe’s only Thomas Land is found there has us going back again and again. 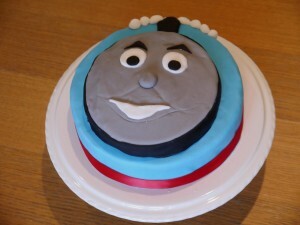 This week we were lucky enough to be invited to the press launch of the expansion to Thomas Land. As part of Drayton Manor’s 65th anniversary celebrations a £2.5 million extension to our favourite part of the park has been unveiled, increasing Thomas land by 40% and introducing new rides featuring Flynn the fire engine, Captain the life boat and Toby the tram. My kids had a fabulous tie going on the new rides and watching the performers there to celebrate the opening. My son’s loved firing the water cannon on Captain’s Sea Adventure and both children wanted to fly with Jeremy again and again in his new location right outside the Sodor Airport function rooms and cafe. The fat controller has a brand new statue sheltering under an unbrella from a fountain and there are fairground style games to play too. In celebration of the 65 years since the park opened there are some great offers available including a family day pass offering a family of four entrance to the park and access to all of its attractions for just £65 when booked seven or more days in advance or if individual tickets are more appropriate by booking seven days or more in advance you can take advantage of the following great discounts; adult (12+) tickets at £20, children (aged 4-11), grandees (60+) and disabled visitors and their carers priced at £15. The exclusive anniversary offers throughout the 2015 main season and provides a whopping 55% saving, compared to on the gate prices. Drayton Manor Theme Park Ltd, opened to the public in 1950 by the Bryan family, is one of the UK’s most popular family attractions with over one million visitors a year. 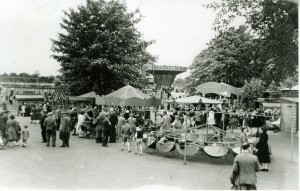 George and Vera Bryan OBE, converted 80 acres of derelict land, which once belonged to Sir Robert Peel Bart; MP & PM to Queen Victoria and his family, into today’s wonderful multi award-winning family attraction, combining thrill rides with a conservation zoo plus catering and conference facilities. Today, Drayton Manor Theme Park, still family owned and run by second and third generation family members, covers 286 acres of beautiful woodland and countryside and features some of the wildest and scariest rides around. Rides include: Roller-Coasters – Shockwave, Ben 10: Ultimate Mission and G-force. Major rides: Maelstrom, Apocalypse and Storm Force 10, our wettest ride. It is home to the hugely popular Thomas Land™ featuring many named Thomas & Friends™ character rides for the children and adults alike. 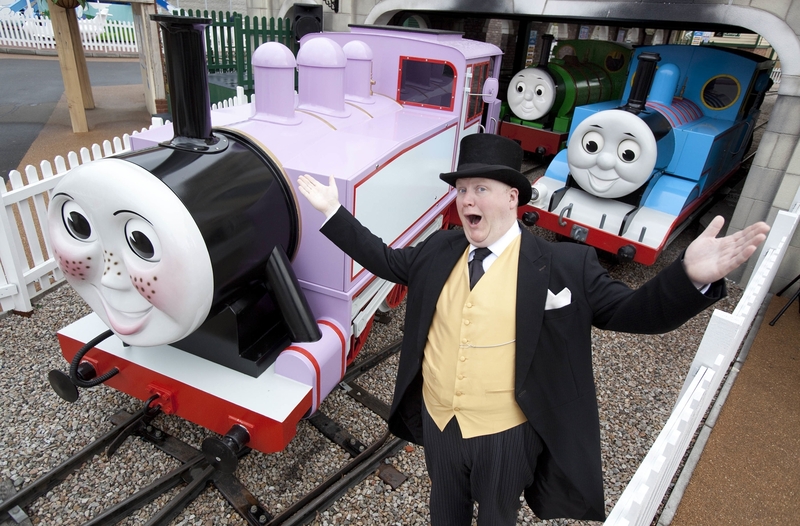 Thomas Land™ at Drayton Manor is the only one of its kind in Europe. The park’s 152 seat 4D Cinema and over 50rides and attractions makes for an truly unforgettable day. A four-star Hotel onsite featuring 150 rooms includes Thomas & Friends™ themed rooms all sleeping four to six guests, family rooms, executive rooms and presidential suites. It also features two well stocked bars, two sublime restaurants, a relaxing lounge, large conference room for functions and exhibitions as well as an idyllic wedding facility for up to 400 guests. This entry was posted in Days out, Sponsored content and reviews. Thomas land looks awesome, I would have loved to have taken the kids as my son used to be a Thomas fan. It’s a bit of a trek for us though!